Geisinger Health System will welcome the public to its new cutting edge Precision Health Center, 190 Welles Street, during a ribbon-cutting and open house on Monday, April 20, from 3:30 to 5:30 p.m. Speakers at the ribbon-cutting include Glenn D. Steele Jr., M.D., Ph.D., president and chief executive officer of Geisinger Health System (GHS); David H. Ledbetter, Ph.D., executive vice president and chief scientific officer, GHS; and William E. Sordoni, president and chief executive officer of Sordoni Construction Services, Inc., and a member of the GHS Foundation Board of Directors. The 14,000-square-foot, $562,000 facility will be home to highly specialized teams from Geisinger’s Clinical Genomics and Autism & Developmental Medicine Institute (ADMI), and will serve as the primary location for Geisinger Research in northeastern Pennsylvania. It will house clinical research space as well as a patient care center with a first-of-its-scale telemedicine genomics program. This telegenomics program will allow Geisinger specialists and visiting national experts to consult with patients or their physicians. Geneticists in Forty Fort will have the capacity to share their expertise via specialized video-conferencing software with patients and providers anywhere in the world. The use of genomic data to guide patient care and disease management is a new and rapidly evolving area of medicine that was recently endorsed by President Obama with the creation of a federal Precision Medicine Initiative, which will be governed by the National Institutes of Health (NIH). President Obama has proposed an initial budget of $215 million for the first year of initiative, which will conduct genomic sequencing as a way to better identify diseases such as cancer and diabetes, and develop drugs that target specific genetic varients in individuals. 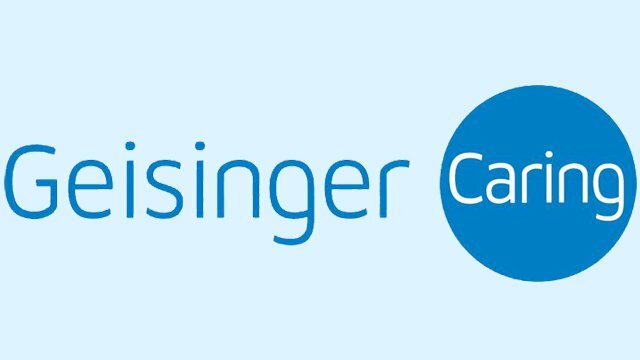 Geisinger is ahead of this federal initiative and already engaged in a large-scale genomic effort designed to identify genetic variants associated with human disease in collaboration with the Regeneron Genetics Center LLC, a wholly-owned subsidiary of Regeneron Pharmaceuticals, Inc., a biopharmaceutical company. This collaboration, announced in January 2014, is a few steps ahead of the new federal initiative, having already sequenced the exomes – portions of the genome that provide protein coding – of more than 30,000 people, with plans to sequence 250,000 or more. Geisinger will be able to provide the participants with any validated results of the sequencing that show understood genetic risks for disease, but others looking at the data will not have access to any identifying information on the participants. Patients seen for clinical care at the Geisinger Precision Health Center will be able to have their genome sequenced, interpreted and applied to their medical care by a comprehensive team of physician geneticists, genetic counselors and other medical specialists. The facility will ultimately act as a resource to other institutions, providers and patients locally, nationally and internationally seeking a second opinion. Through the effective use of telegenomic capabilities, the facility is designed to contribute to the development of best practices in this emerging field of medicine. The Precision Health Center will house the second regional center for Geisinger’s Autism & Developmental Medicine Institute. ADMI’s first location and headquarters is located in Lewisburg at the Geisinger-Bucknell Autism & Developmental Medicine Center. ADMI’s goal is to establish a network of regional centers of excellence that will make care for children with special developmental needs as accessible, efficient and effective as possible. Geisinger clinicians and researchers work side-by-side with educators and scientists to strengthen ADMI’s multidisciplinary approach to personalized medicine. That approach may also include genetic testing to more precisely diagnose a patient’s developmental disorder and provide a more precise level of care. Call 570-808-3248 to register for the open house and tour Geisinger’s new Precision Health Center. It will host the first of its semi-annual Genomics Symposia for health professionals and researchers on May 19 and 20.